Auchi polytechnic Higher National Diploma (HND) admission form, Full-Time (FT) for the 2018/2019 academic session is out. Sale of application form for admission into Higher National Diploma programmes at Auchi Polytechnic has now started. Applications are invited from interested and suitably qualified persons for admission onto Auchi Polytechnic Higher National Diploma (HND FT) programmes available for the 2018/2019 academic session. 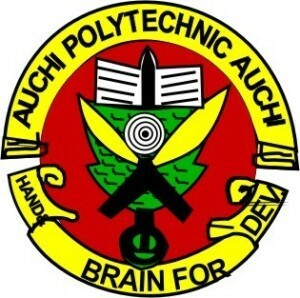 The management of Federal Polytechnic, Auchi has announced that application into the Higher National Diploma (HND FT) Programme of the polytechnic for the 2018/2019 session has commenced. Admission Guidelines into AuchiPoly HND Programmes. Click on the Apply for 2018/2019 AuchiPoly ND, HND OR PROFESSIONAL DIPLOMA as it applies to you. Deadline for submission of application forms for Auchi Poly HND admission is NOT STATED.